This will be my 3rd year serving on this committee and I am so grateful to have met Tamara Ehlin. She has worked for the ACS Brooklyn Office for several years and has led the Pink & Black Tie Gala to great success. Sad to see her leave, but the foundation she established for this event will forever be remembered and the fight will continue. I have been touched by Cancer in several ways. My Aunt passed four years ago, my dear friend died last year, and I have friends effected by this disease in their own lives. Knowing that I can be part of an organization that is dedicated to the awareness and cure of this disease helps me honor those I have lost. That is why I have volunteered my time and will continue to do so. I implore you to volunteer however you can in support of this cause. It would be great to attend this event, but if there is another way you would like to participate then those opportunities are also available. You can be a sponsor, be part of the Auction by donating an item or service from your business, and/or volunteer. We have a great line-up for this year’s Gala. The Honorees are phenomenal in bringing awareness to and supporting those effected by cancer. 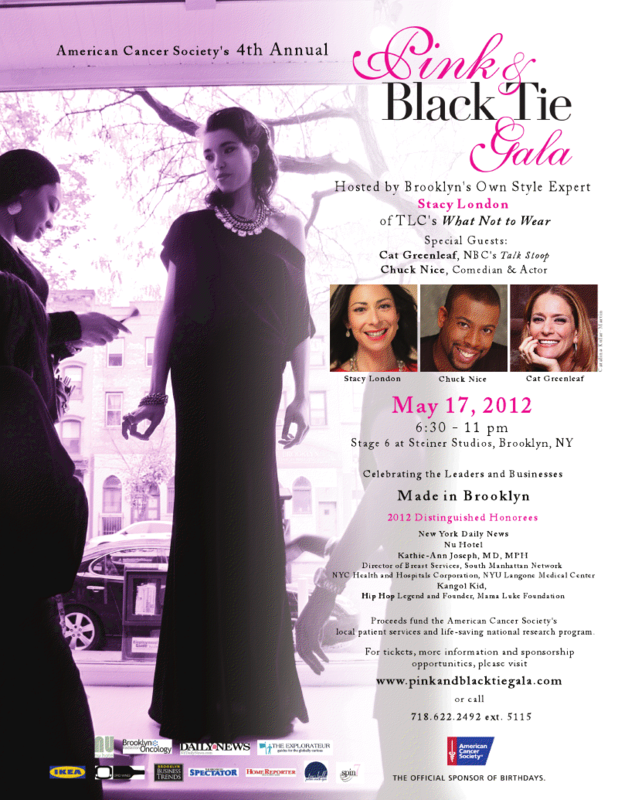 Please go to the Pink & Black Tie Gala page and read more about our amazing Honorees! If you have any questions, please don’t hesitate to contact me. Thanks again to Tamara! I wish you all the best!